She went downhill very fast after living with leukaemia symptom-free for nearly three years. In the last few months, the disease took its grip and she began to tire. Determined not to spend months going back and forth from the hospital, she opted to stay at home, and while she was well enough, we packed her wheelchair in the car and took her out to the theatre, to the cinema, to the seaside. We had coffees at the pub and Sunday roasts at home. The family bound together tight. 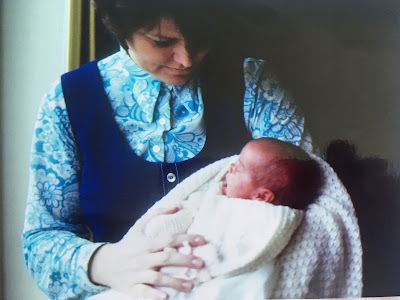 For the last week, a makeshift rota of her children, grandchildren, and other relatives and friends ensured that she had two of us on hand to help 24 hours a day. The palliative care team quietly and expertly aided and advised. Mum died in a bed in the front room of the only house she’s ever lived in. The same house in which she was born, grew-up in, and later made her marital home. 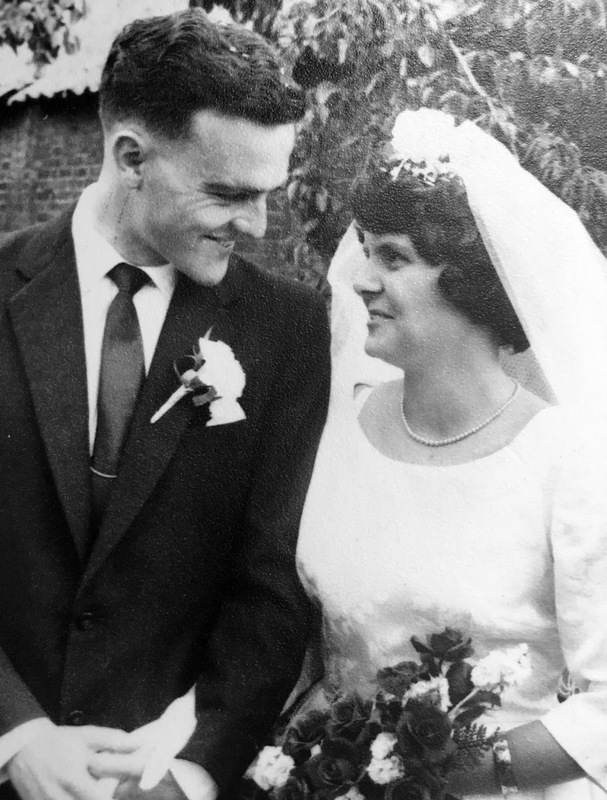 It happened in the early hours of August 27, two days after her 56th wedding anniversary. My dad, my brother, and my niece were at her bedside. I’d gone home for some sleep, exhausted from helping care for her. I arrived a few seconds too late to see her go, but I’m comforted by the knowledge that Dad was there, I know it was what she had chosen, and I know she wasn’t in pain. I make sense of things by writing. I can’t easily talk about my emotions, but I can almost always put them down on a page, yet I’m struggling here. I want to tell you about my mum, and how she was, and how I feel, but I can’t. It’s raw, it’s unreal, it’s unfair, it’s too much, and I’m typing and deleting and I can’t find the words. I can’t get it right. But I can share this. In the midst of it, towards the end, when I hadn’t slept, and had hardly seen my husband or kids for days, I grabbed an evening at home, and my daughter called me over to sit next to her on the sofa. “You must watch this, Mum,” she instructed, and pressed play on a episode of Katie Morag, a children’s show about a little girl living on a fictitious Scottish island. The action unfolded. I say action, but Katie Morag isn’t exactly Mission Impossible; it’s usually something to do with woolly jumpers and ceilidhs and sheep. Sure enough, sheep featured heavily in this particular story. I’ll give you a quick precis: Katie’s grandma’s elderly ewe was poorly and Katie was concerned that the sheep would die (spoiler: she didn’t). Cue Granny Island telling Katie about how animals and humans can’t live forever and it’s the circle of life, etc. The next scene is at Katie’s bedtime, when her dad is tucking her in and they start talking about her Grandad, who died before she was born. Katie said her Grandad was funny and liked singing songs, but asked her dad how she knew this. Her dad explained she was able to feel like she’d known him because the family still talked about him and shared all their memories of him. All through this, my girl is looking at me pointedly, then, with a nod of the head, directing my gaze to the telly, then catching my eye and nodding at me again. I've been quietly following your blog for a while now, directed here via the sidebar over at John Medd's place. You have a remarkable family and write beautifully about them. I'm so sorry for your loss. I know your pain. Lost my mum nearly four years ago. I'm thinking of you. But believe me, it does get better when the fog lifts and you're left with the great memories. Trust me. Jon.